Varsity Tutors brings you insider tips and advice straight from nationally recognized admissions experts. Scott Linzey is currently the Vice President for Admission and Student Financial Services at the Savannah College of Art and Design. He has over two decades of experience in admissions and higher education consulting. 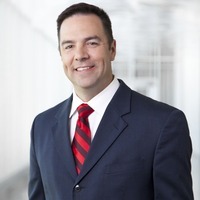 Scott has served as a guest speaker for topics related to college and university admissions as well as student recruitment and many other topics on both regional and national levels. VT: How can a student determine if an Art School is the right path for them, versus attending a regular university with a strong Arts department? Scott: Like most things in life, success is heavily based on preparation. Meaning that if a student seeks a career in a creative industry, the best precursor is an educational environment that provides a strong foundation along with immersive, real-world experiences infused by instruction and mentorship from people who are luminaries in their fields. Art school--and SCAD in particular--is dedicated to preparing talented students for professional careers in creative industries. These schools generally are not influenced by research dollars, stymied by resource allocation toward conventional academic majors, or subject to funding decisions in state legislatures. VT: What is the biggest difference between applying to an Art School and a regular college? Scott: Generally speaking, the greatest difference is the expectation of an artistic portfolio. At many art schools, the applicant’s portfolio carries as much or sometimes more weight than their academic credentials. I emphasize “generally” because this is not the case at SCAD. The Savannah College of Art and Design does not require that undergraduate applicants submit a portfolio. We recognize that art and design education at the secondary level varies widely in availability and quality; we therefore seek to enroll the brightest students regardless of availability of a portfolio. As long as a student is passionate about and dedicated to one or more of the 40-plus disciplines we offer, we are very confident that we can teach them the foundational elements of art that will allow them to succeed. VT: During high school, when is a great time for a student to begin working on his or her Art School application? For example, would waiting until senior year be too late? Scott: Junior year is the optimum time for students to apply to college. This timing is late enough in the student’s high school career to provide ample opportunity to consider and evaluate a variety of options, yet it's still early enough to allow sufficient time to deeply examine the student's top college and university choices given the gravity of the decision. VT: What is the biggest mistake a student can make on an Art School application? Scott: Thinking that their academic performance in high school is not important. Art school is college. Classes are challenging and require a variety of critical skills and abilities beyond being able to draw, paint, etc. Scott: Our admission advisers thoroughly review each applicant’s entire admission file. Their overall goal is to determine if the applicant shows high probability for success at SCAD. Critical review of high school transcripts is executed, paying particular attention to the degree to which the applicant has challenged him or herself with honors/gifted/AP/IB courses. Also noteworthy are standardized test scores, writing samples, statements of purpose, letters of recommendation, a list of activities involving extra- and co-curricular involvement, a personal interview, and an artistic portfolio. VT: How should students go about determining the culture of an Art School, and whether they would be a good fit? Scott: Like any college, the most effective means for determining if an art school is a good fit is to research it. Review the school's web site and mailed collateral, speak candidly with current and former students, meet with institutional representatives, and visit the campus so that both the student and family have first-hand knowledge of the campus culture. VT: What kind of preparation needs to go into the creation of a student's portfolio? What is typically included in a portfolio? Scott: Portfolios, although not required for admission to SCAD, should represent a student’s best work. They usually feature 10-20 of the applicant's strongest pieces. A common mistake is to try to demonstrate breadth, which often compromises quality. A student strong in illustration and drawing should not submit photography unless that work is equally as strong as the drawn pieces. SCAD does not require portfolios from undergraduate admission applicants due to the wide range of art instruction at secondary schools in the United States and around the world. Many students have not been exposed to strong instruction in art or design, but have a passion for these disciplines. SCAD’s foundation studies program, which is required for all enrolled undergraduate students, effectively prepares academically talented students who are dedicated to art and design for success in their chosen field. VT: In contrast to applying to a regular college, what are important things to highlight in one's Art School application? Scott: Art school applicants should highlight examples of creativity, demonstrate a passion for disciplines in art and design, and articulate how a degree in an art or design-focused field will propel them to achieve their dreams. VT: What tips do you have for students when asking for letters of recommendation? Scott: Choose individuals who can attest to a particular skill or characteristic that is not evident from the other documentation you provide in support of your admission application. Vary the types of individuals you ask to write on your behalf as well. Teachers, coaches, mentors, work supervisors, and civic leaders are all good examples.